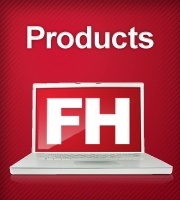 FH Enterprise is for fire/EMS agencies that need to run FIREHOUSE Software with remote access to a central database. The FH Enterprise client is the same easy-to-use interface as the standard FH package, but uses a client/server database. Flexible installation options allow departments to install FH Enterprise and a fully Microsoft SQL Server-compatible database engine, or departments that already have Microsoft SQL Server can install FH Enterprise and use their SQL Server database. Either way, FH Enterprise allows multiple remote users to access and update data located in a central location. Most processing is completed at the server, minimizing network traffic and allowing slower connection speeds with acceptable response times than the standard FH system allows. Licensing: Per concurrent user Provided with FH Enterprise, optimized for up to 5 concurrent users. Purchased separately, various user licensing schemes available. Networks: Supports the following network libraries: Named Pipes, TCP/IP, Multi-Protocol, IPX/SPX, and Banyan Vines. Bandwidth: We recommend departments use our free evaluation copy of FH Software to determine satisfactory system configurations that yield optimal response times. * Depending on your workstation’s configuration, you may want to consider a faster processor and additional RAM. If you are purchasing a new computer, talk to your sales representative for recommendations based on the latest available computers.